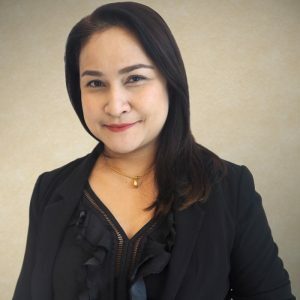 Bangkok (Thailand) – September 19, 2018 (travelindex) – Best Western Hotels & Resorts is delighted to announce the appointment of Ms. Luckrada Lucksanawimol as its new Regional Director Sales – Asia, effective immediately. Ms Luckrada, or “Annie” as she is better known, brings an impressive set of skills to Best Western. Having achieved a Master’s Degree in International Business Management from Stamford International University, she has held senior sales and management roles for a series of major hotels and resorts, both at property and head office levels. Her experience includes serving as Director of Sales at B-Lay Tong Phuket, during the time it was operated by AccorHotels as part of the MGallery Collection; and serving as Director of Sales for the former dusitD2 Patong Resort, which was managed by Dusit International. She was also Cluster Director of Sales for Bangkok-based BHMAsia, overseeing 17 properties in Thailand and beyond. And most recently, Khun Annie was Executive Assistant Manager at B-Lay Tong Phuket, having returned to the property in 2017. She now embarks on the latest chapter in her career as Regional Director Sales for Best Western, with responsibility for the company’s expanding portfolio of hotels and resorts in Southeast Asia and Japan. “Khun Annie is a confident, charming and forward-thinking person and a highly-skilled hospitality professional. Not only does she have extensive experience of sales, but she has also been involved in hotel operations at senior management level, giving her a deep understanding of the industry. We are delighted to have her onboard our dynamic team, and I am sure that her talent and expertise will be great assets to our entire company,” said Olivier Berrivin, Best Western’s Managing Director of International Operations – Asia. “I am thrilled to be joining to Best Western, which is one of the most famous names in the hotel industry. This is a very exciting time for the company, with many fantastic new hotels and innovative brands being launched in Asia. I look forward to working with the entire team and helping Best Western to achieve even more success in the future,” Khun Annie commented. A Thai national, Khun Annie is a keen scuba diver with a PADI open water certificate. She also enjoys travel and photography, landscape and interior design, swimming, reading and art. She will now be based at Best Western’s Asia head office in Bangkok. To contact Khun Annie, please email luckrada.lucksanawimol@bestwestern.com.